Water pollution has become a major concern all over the world. Water pollution not only causes wastage of water but also it causes many diseases. In this article I am going to share with you the diseases caused by water pollution. A person may show the symptoms of Cholera as soon as he or she get contaminated due to the infected water. The symptoms of Cholera are diarrhoea and vomiting. It leads to dehydration. The symptoms of dehydration are thirst low blood pressure, rapid heart rate, dry mouth, throat, nose and eyelids. Chlolora cause due to Vibrio cholerae bacterium. Cholera can be found in the places where there is poor sanitation, lot of crowd and famine. Cholera is caused due to contact with the contaminated water or food which is infected with the feces of the person having cholera. Food or drinks prepared from infected water. When you are infected with cholera you will experience dehydration very rapidly. Cholera is highly treatable so you should seek for medical help as soon as possible. As cholera is caused due to infected water so you must use boiled water or bottled water for drinking, cooking food, washing hands and face and for brushing teeth. In severe of diarrhea you may also experience weight loss and fever. Diarrhoea is a very common disease caused due to contaminated water and food. If you drink water contaminated due to harmful bacteria and chemicals then you will cause diarrhoea. It is usually not a serious disease but it could be severe in some cases. Diarrhea can also cause due to alcohol abuse, cancer and also if you have done surgery on your digestive system. If you have mild diarrhoea then you will not how to do anything, just keep yourself hydrated. Drink fruit juices, chicken broth (without fat), sports drink could also be a good choice. Drink lot of water between meals. 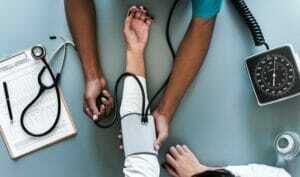 In case you have severe diarrhoea then you should go to hospital for treatment. The preventions of diarrhoea includes using boiled water or bottled water or water purified by water purifier for drinking and for preparing food. You must also clean the foods and vegetables using purified water or boiled water. The symptoms of lead poisoning includes irritability, headaches, sleep problem, constipation, aggressive behavior, abdominal pain, high blood pressure, memory loss kidney dysfunction and anemia. Lead a very toxic heavy metal. When there is a lot of lead build up in the body then it causes lead poisoning. Lead is present in Paint, Storage batteries, Kajal eyeliner and polluted water etc. Chelation therapy is used for the treatment of lead poisoning. Activated charcoal can also be used during the treatment of lead poisoning. Use water purified by RO water purifier or bottled water for drinking and for cleaning fruits and vegetables and for cooking. Use lead free paint in your home. 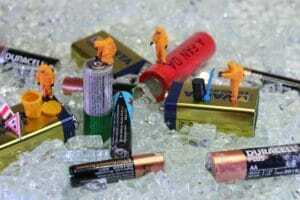 Avoid exposure to the batteries. This syndrome caused to the people of the age between 20 to 40. There is not a specific cause for this syndrome. Drinking chemically polluted water may cause this syndrome. 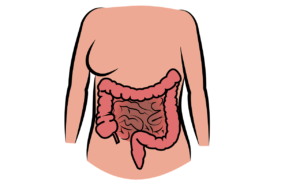 There is no sure fire treatment for irritable bowel syndrome. No one kind of treatment can work for everybody. You and your doctor will have to work together and found out the best treatment for yourself. Some changes in lifestyle and diet will help. Changes such as avoiding coffee, tea or soda, having more fibre rich food in your diet like fruits, vegetables, nuts and whole grains, drinking plenty of water, quitting smoking, avoiding dairy products and also relaxing yourself by doing exercise and reducing stress in your life. Use purified or boiled water for drinking and for cleaning fruits and vegetables. Do exercise more often and reduce stress from your life. People usually don’t show any kind of symptoms for about 1 year. When this worm comes out of the skin it is very painful and the person may have fever and swelling. Most of the time (almost 90% of the time) the worm comes out of the skin of legs. 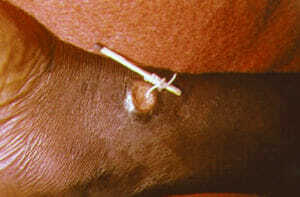 Guinea Worm Disease is also called as Dracunculiasis. It is caused by the parasite Dracunculus medinensis. This disease is caused due to drinking water from contaminated pond. There is no treatment or vaccine for this disease. Once the worm comes out of the skin then you can pull it out. It usually takes weeks to pull the whole worm out. You can use medicine such as aspirin which will help you to reduce the pain and swelling. Also antibiotics can help to prevent the secondary bacterial infections. Drink water from the purified water sources. Always use purified water for drinking and for cleaning fruits and vegetables. Treat contaminated water with an approved larvicide. Intestinal parasites can get into your body if the meat of animal like sheep or fish is undercooked. These parasites can also get into your body through contaminated water contaminated soil. Also if you have a bad hygiene or sanitization there is chances that such intestinal parasites can enter in your body. There are many types of intestinal parasites. The common treatment is mebendazole and albendazole. Eat only thoroughly cooked meat or simply avoid meat or fish. Cook raw fruits and vegetables properly. Always wash or peel fruits or vegetables. Vomiting is not a disease but it is symptom of many diseases. You will experience nausea before vomiting. 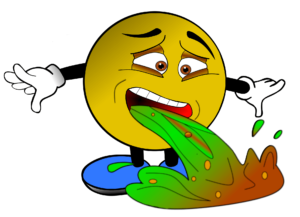 Vomiting can cause due to many reasons. 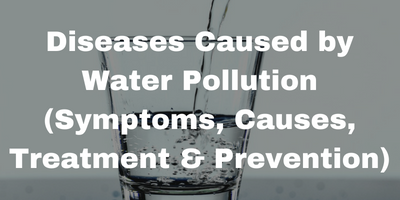 Usually drinking contaminated water is the major cause of vomiting. Also eating contaminated food or undercooked food is also responsible for vomiting. For the treatment of vomiting drinking large amount of liquid or fluid is necessary. You must not eat any solids until vomiting is completely cured. Drink either boiled water or water purified by purifier or bottled water. Use pure water for washing fruits and vegetables and for cooking food as well. Avoid food from contaminated area and also avoid under cooked food. 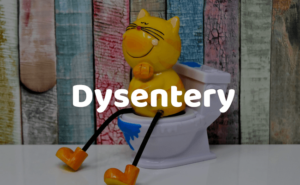 The symptoms of dysentery includes diarrhoea, cramps and stomach ache. In the severe case of dysentery the patient will show symptoms like intense abdominal pain, blood or mucus in the feces, fever, nausea and vomiting. Poor hygiene is the main cause of dysentery. The Other causes of dysentery includes worm infection, viral infection or chemical irritation. Mild dysentery will not require any kind of treatment it will resolve automatically. The treatment of dysentery includes drinking a lot of water or fluid to prevent dehydration. In severe condition antibiotics are necessary for the treatment of dysentery. As most of the time dysentery is caused due to poor sanitation so washing hands before preparing food and before and after bathroom is critical to avoid dysentery. Also drink either boiled water or purified water or bottled water. Use purified water or boiled water or bottled water for cooking food and for washing vegetables and fruits as well. Also avoid eating under cooked food.